A-HOTEL.com - Luxusné a lacné ubytovanie Caselle in Pittari, Taliansko. Ceny a rezervácia hotelov v Caselle in Pittari a v okolí. Toto je orientačná ponuka najviac rezervovaného ubytovania v destinaci Caselle in Pittari za poslednú dobu a je radená od najlacnejšieho ubytovania až po najdrahšie hotely. Pre výber ubytovania podľa Vašich preferencií odporúčame vyberať z celkom 2 ponúk ubytovanie v Caselle in Pittari. Po zadaní dát svojho pobytu a použitie filtra si môžete vybrať najlepšie možné ubytovanie v destinácii Caselle in Pittari. Zadaný dátum pobytu je pre presný výber miesta na prespanie kľúčové, pretože sa od neho odvíjajú všetky on-line informácie o cenách a obsadenosti ubytovania. Vybrané miesta na prenocovanie (hotely, apartmány a pod.) je potom možné ihneď rezervovať. Offering an outdoor pool and free Wi-Fi in public areas, Albergo Ristorante Cavaliere is located in the historic centre of Caselle in Pittari. Guests can enjoy the terrace. Set in Caselle in Pittari, 44 km from Maratea, Il Perale provides a garden and free WiFi. Guests at the bed and breakfast can enjoy an Italian breakfast. Family-run Hotel Del Parco is set on a hillside in Sicilì, part of the Cilento and Vallo di Diano National Park. It offers rooms with a flat-screen TV and free parking. Set in Santa Marina, Agriturismo Murikè offers accommodation with free WiFi and flat-screen TV, as well as a garden. A terrace with garden views is offered in every unit. Featuring free WiFi throughout the property, La Posada De Juan y Marisol offers accommodation in the medieval town of Tortorella, 34 km from Maratea. Rooms are set in a 19-century building and feature wood-beamed ceilings. Centrally located in Tortorella, Ospitalità Don Carlo offers elegant rooms in a renovated Provencal-style house with original wood-beamed ceilings. A sweet breakfast is included. Providing mountain views, B&b Villa Rachele in Casaletto Spartano provides accommodation and a garden. Free WiFi is featured. 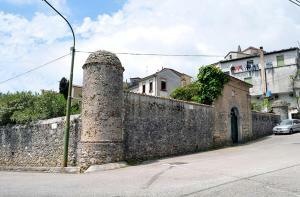 Palazzo Gallotti offers accommodation in Battaglia. Some units feature views of the mountain or garden. Featuring a garden and a terrace, Il Centauro is set in Rofrano. Featuring a restaurant, the property also has a bar. Providing mountain views, Masseria Cata catascia in Tortorella provides accommodation, free bikes and a garden. Free WiFi is available. Located in Castel Ruggero, Villa Graziella features accommodation with a private pool and free WiFi. The air-conditioned accommodation is 39 km from Maratea. Set inside Cilento National Park, Poggio San Nicola Residenza Rurale is 10 minutes' drive from Tortorella and the nearest beach. It offers a swimming pool with sun terrace and a free car park. Located in Vibonati, Vibonati Villa Sleeps 14 Pool WiFi features accommodation with a private pool and private parking. Guests may enjoy the free WiFi. 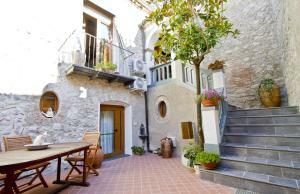 Vibonati Villa Sleeps 14 WiFi is situated in Vibonati. The accommodation features free WiFi. Vibonati Villa Sleeps 10 Pool Air Con WiFi is situated in Vibonati and offers a garden. Guests may enjoy free WiFi. Boasting a garden, an outdoor pool and garden views, Vibonati Villa Sleeps 14 Pool Air Con WiFi is located in Vibonati. Free WiFi is offered. Situated in Vibonati, Holiday home La Villa del Sole features accommodation with a private pool and free WiFi. The air-conditioned accommodation is 26 km from Maratea. Villa Don Ciro is set in Torre Orsaia. The accommodation is 36 km from Maratea. Featuring barbecue facilities, Apartment Laurito provides accommodation in Laurito with free WiFi and pool views. The property has garden views.